Nidhi’s culinary journey began almost twelve years ago with the genesis of ‘Meri Rasoi’, which means ‘My Kitchen’! 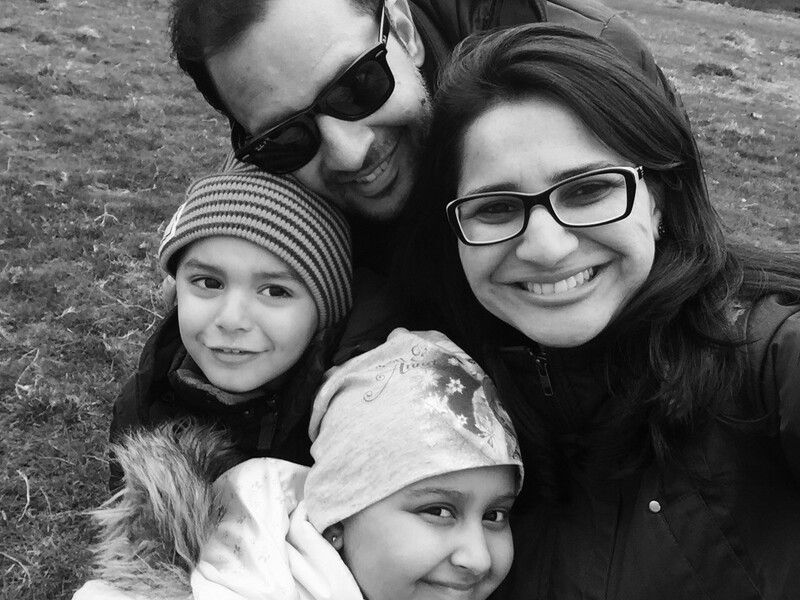 Despite being away from India all these years, she was always inspired to cook Indian food from scratch for her family and friends, as some of the best ingredients are easily available in London. When it came to eating out I noticed an alarming lack of authenticity and understanding of real Indian food. There were thousands of Indian takeaways and restaurants but the dishes on offer were generally rich and spicy and unlike what we eat on a daily basis. 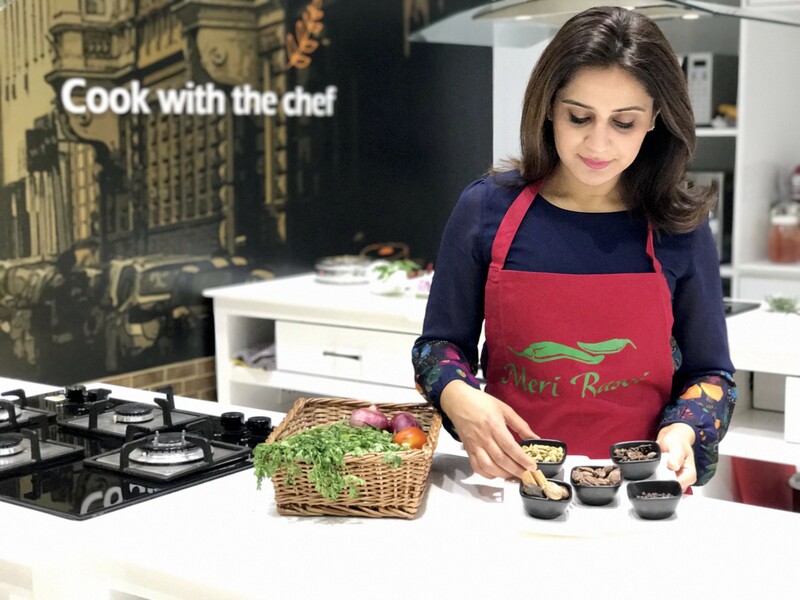 The British love for Indian cuisine and their willingness to experiment was clear to her from my early days here and with this in mind, she started ‘Meri Rasoi’ as an endeavour to introduce authentic Indian food in British kitchens. 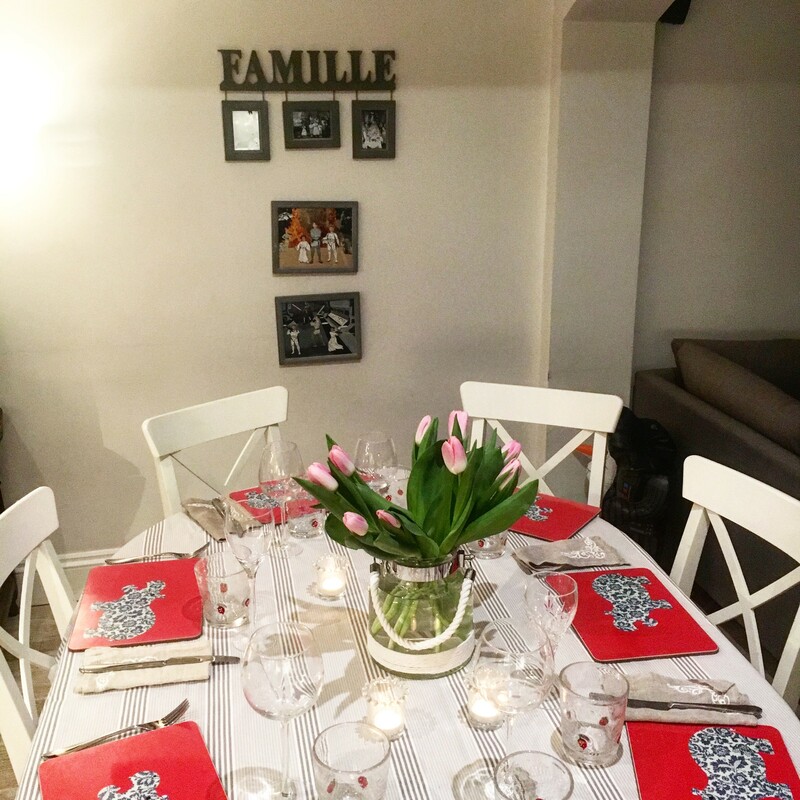 The plan was simple – easy to prepare food that could be built into weekly meal plans to provide a nutritious and healthy variety to the entire family. 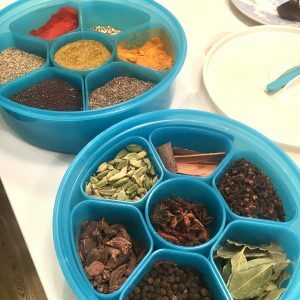 Nidhi believes that food should be fresh, healthy and simple to make and she loves inspiring people to cook from scratch and show them that Indian cooking is not always time consuming or ridiculously spicy. I do this through cookery classes run out of my kitchen or privately in the comfort of your home. 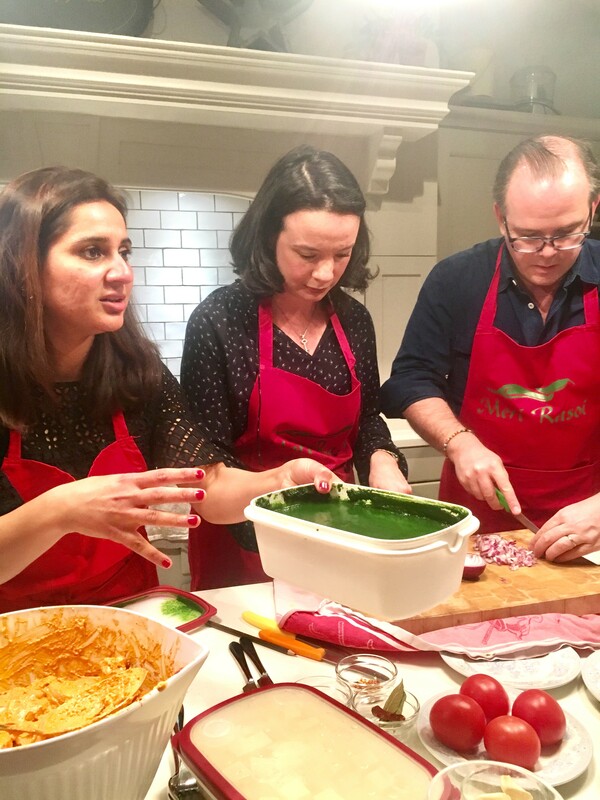 Indian cooking is also a very communal affair and I run various private events for people and team building workshops with schools, corporates and other organisations centred around Indian food and cooking. 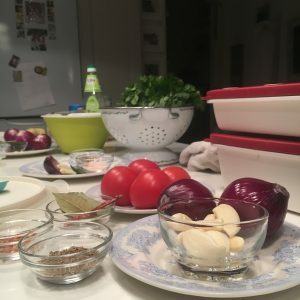 Her classes are fun and interactive and appeal to complete beginners as well as serious food enthusiasts. It was an eye opener to realise cooking Indian food from scratch is not as hard as it looks once you know how! Check out the gorgeous fresh ingredients and the beautiful spices. 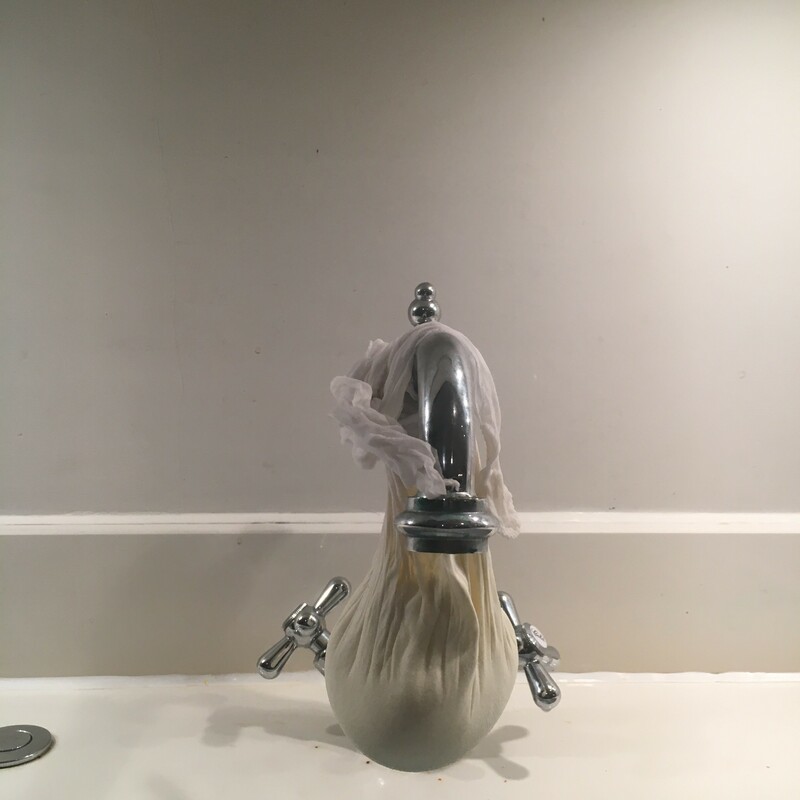 I loved how she hung in paneer on my kitchen sink. That’s something I haven’t ever seen! Studious students with their lovely aprons – that they were able to take home! Nidhi does everything so well. She is patient (even when people aren’t listening!) and doesn’t cut any corners. The only thing I had to do was set the table. 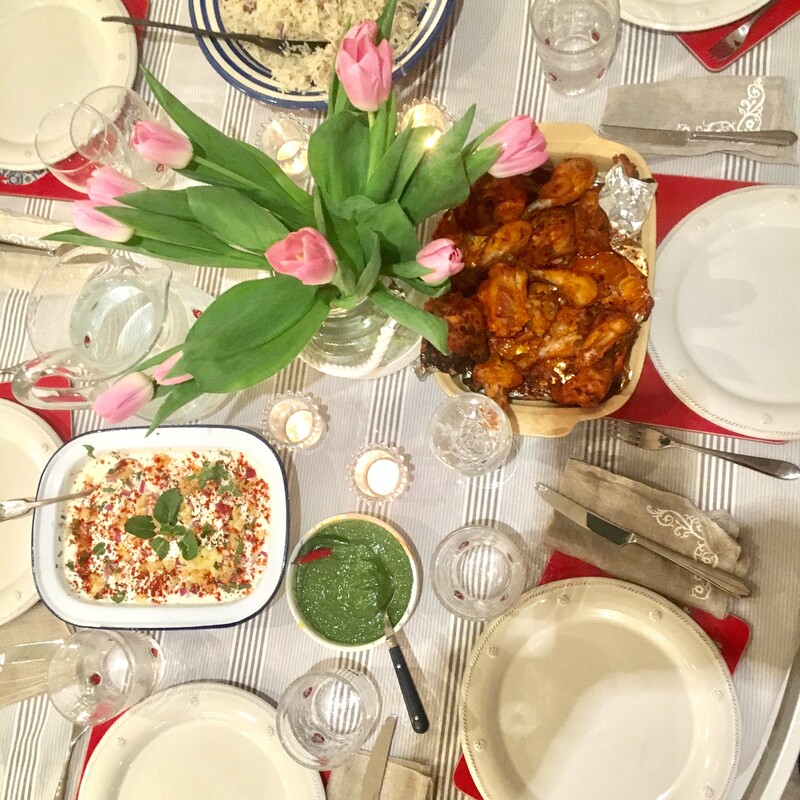 It was so delicious, especially the Chicken Tandoori – I won’t be able to have a takeaway ever again! What a fun evening. Nidhi is a fountain of knowledge and so generous at imparting it. Restaurant : Cinnamon club at The Old Westminster Library. Some of her other favourite restaurants include Thai Square in Putney, Barnes Depot and Bam Bou in Fitzrovia. “They are two places that stole my heart the very first time I visited them. Kerala known as ‘Gods own Country’ is truly the most tranquil place I have visited within India. Everything about it from food, lagoons, mountains, tea, wildlife and serene beaches make it a travellers paradise. 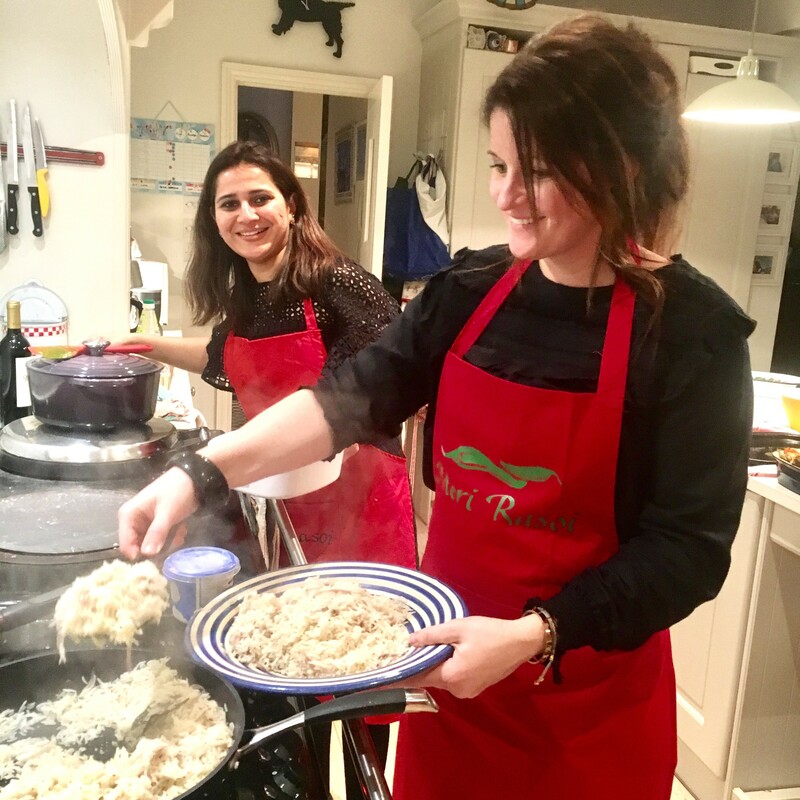 I highly recommend you Book a course with Nidhi either at her beautiful home in Southfields or put together a group like I did at your own home! Email her for more information! She is also giving away a £100 voucher toward a cooking lesson or course, so head over to Instagram and enter.